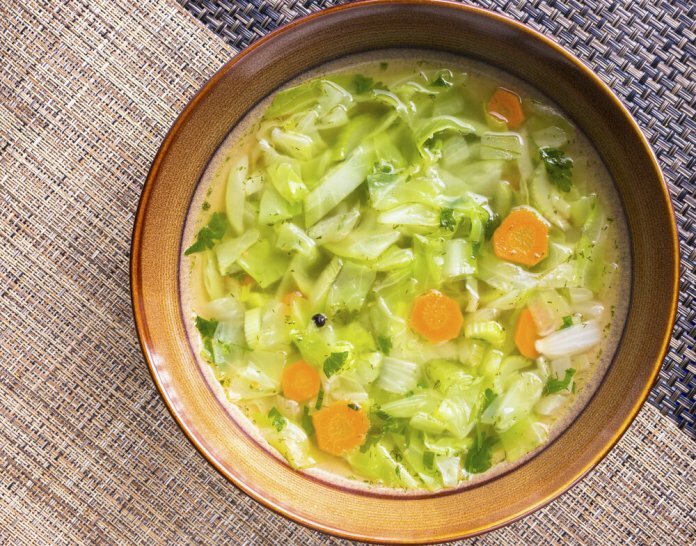 Once you’ve prepped the vegetables, this White Winter Minestrone Soup goes fast yet tastes as though it has been cooked for hours. It tastes even better the next day. I tend to like my soups thick, more like stews, so add more liquid if you prefer a thinner soup; it’s up to you. Try making your own beans for the soup. The broth adds extra flavor. 1. Heat the olive oil in a large saucepan or soup pot on medium-high heat. Add garlic. Fry until it turns to a light gold. 2. Add the onions, carrots, celery, sage, thyme, and bay leaf. Sauté for a minute. Cover and turn the heat to medium-low. Sweat the vegetables for about 10 minutes, until they soften. Stir from time to time. Do not let them stick and burn! 3. Add the pearl barley and cabbage. Mix well with the other vegetables. Cover again and sweat for another 3-5 minutes or until the cabbage begins to soften. Add the parsley and cook for another minute or so. Add the stock and Parmesan rind and bring the soup to a boil over a high heat. Cover, turn the temperature to low and simmer gently for 25 minutes, or until the barley is nearly cooked. 4. Add the beans. If home cooked, add their liquid, too. Bring back to a simmer. Cover and cook for another 10 minutes. Discard bay leaf. Dice the Parmesan rind and return it to the pot. Adjust seasoning and grind a little black pepper on top. Serve with freshly grated Parmesan cheese and a drizzle of good olive oil. This soup is traditionally made with pancetta. If you’d like to use it, cut out the sage in step 1 and replace it with a thick slice of pancetta cut in a medium dice. The pancetta should end up golden and chewy, and not crisp. When using canned beans always rinse them before use, even for soups. The liquid they sit in tends to be loaded with sodium, even the low sodium brands. When you do use drained canned beans in this soup, add an extra 2 cups of liquid. If you are having oral problems such as cankers or post radiation dryness, this delicious soup can be pureed for easier swallowing by whizzing a couple of cupfuls in a blender with a little extra water or stock. Let the soup cool somewhat before eating.